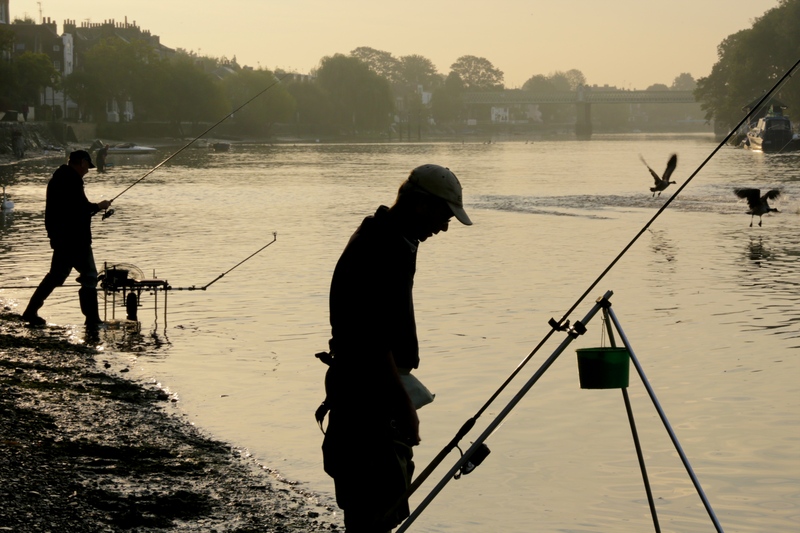 The Angling Trust, Thames Anglers Conservancy and Thames Water are pleased to announce the second annual angling competition to take place as part of the TideFest event on the tidal Thames in London on Sunday September 20th. The match has attracted increased sponsorship and has been doubled from 30 to 60 pegs. It is being held on the north bank of the river on the gravel foreshore downstream of Kew Bridge, an area that has thrown up some big bags of bream, roach and dace in club competitions. A second section has been added this year on the south bank at Barnes from the railway bridge down to the Leg of Mutton nature reserve. The Barnes stretch is known for quality catches of silver fish on the stick float with bream present in some pegs. The match, which is sponsored by Thames Tideway Tunnels, has a £1,000 prize pot which together with the pools will guarantee bumper payouts the like of which London anglers will not have seen for many years. It is expected that the match will attract some of the top river anglers in the South and first to book a ticket has been Sky TV’s Tight Lines presenter and Thames enthusiast Keith Arthur. Last year’s winner was Farnborough matchman Clive Westwood with a fine catch of 34lbs 8ozs of bream followed by James Thornhill with 21.05 and Keith Clark with 16.15 for third place. As well as providing an exciting contest the match will also be helpful in assessing the health of the tidal Thames now that the once problematic sewage works upstream at Mogden has had a multi-million pound upgrade. TideFest is a celebration of the recreational importance of London’s River and will involve a range of other activities designed to get people out and enjoying what the Thames Tideway has to offer. TideFest is a partner of Totally Thames – formerly the Mayor’s Thames Festival. 60 peg Thames Tideway Angling Competition with £1000 in prizes plus pools and a trophy. The return of TideFest for a second year has been warmly welcomed and the match is expected to quickly sell out when tickets go on sale next week. This entry was posted in News and tagged Angling Trust, Environment Agency, Fishing, Super Sewer, Thames, Thames Water, Tideway Tunnel. Bookmark the permalink.